Hi guys! Last week I posted the press release for this collection, The Office Space by KBShimmer (view that here.) Today I’m excited to be able to show you 2 of the shades. Let’s take a look! Caught on Tape is described as a pale creamy mauve. My swatches show 2 coats with glossy top coat. 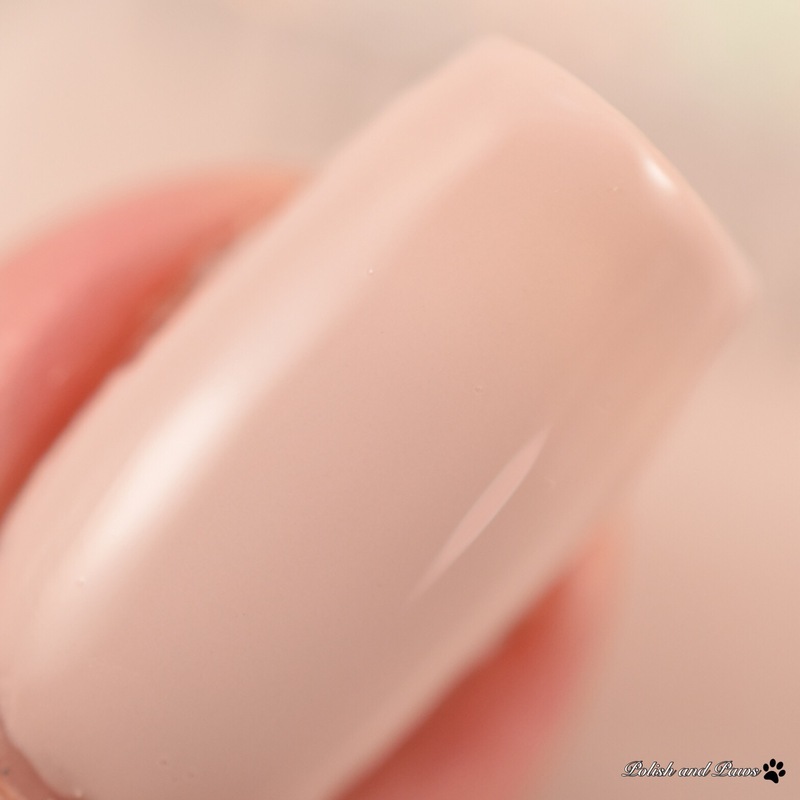 The formula here is so incredibly creamy, and it glides on the nail effortlessly! It is said to be a 1-2 coater. You might get by with 1 coat if you use a somewhat thick coat, but I found it better with 2 thinner coats. It dries very fast though so 2 coats is quick and easy. Cubicle Pusher is described as a muted holographic grape. I really love this shade, it’s unlike anything else in my collection. It had the same effortless formula as Caught on Tape. Cubicle Pusher glides on the nail exactly where you put it with virtually no clean up. 2 coats covers perfectly. Sealed with glossy top coat. This collection will be releasing Wednesday, January 4th. I adore neutrals, especially for the Winter-to-Spring transition, so I will definitely be picking up a few more! What about you? Check out KBShimmer’s Fan Group and Instagram for more swatches of The Office Space Collection. This collection is everything! Cuticle Pusher is stunning on you! LOVELOVELOVE Cubicle Pusher! I love a lot of shades from this collection actually! Oooh Cubicle Pusher. That is my kind of shade! I love nudes, but I can’t get enough of that mauve/raisin holo! Cubicle Pusher owns my heart! I love Cubicle Pusher so much! I love both of these so much! Caught on Tape is a lovely shade on you! Cubicle Pusher. Holy effballs. I need that. Now. It looks divine on you! Gorgeous swatches and polishes. This is one of my favorite KBShimmer collections to date and I hope to pick up a few!